Does anyone ever think about the power that comes with Wall Street? We are the center of the financial universe and money flows into our country. The dollar is the standard by which everyone else values their currency. Millions upon millions of jobs are created by more than just the big investment banks, but also the small businesses that rarely face a credit crunch. Nearly every person in this country can get a quick $20k to start a business, whether from a bank or through a credit card. 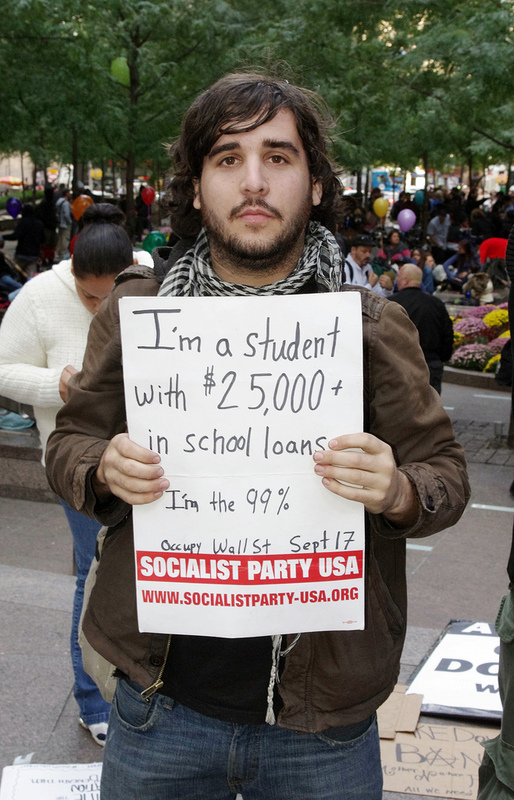 So, why do the Occupy Wall Street protesters want to put a monkey wrench in the works? Would they rather it be in China? Perhaps they blame Wall Street for the recession or the bailouts. Let’s start with the bailouts. There were two of them, one for Detroit and one for Wall Street. The one for the automakers cost us $14 billion on an $80 billion loan bailout, while TARP cost us $20 billion on $432 billion in loans. That’s a 17.5% default rate for Detroit compared to a 4.6% default rate for Wall Street, and the TARP number is expected to go lower as more money is paid back. That $14 billion automaker loss it’s already on the books. Further, the Wall Street banks have already paid their loans back, it’s the small community banks across the country who are defaulting. The main reason they are defaulting: bad home loans. Which brings up an interesting conundrum. Non-Wall Street banks taking our tax money. People taking on bad mortgages and government regulators performing a classic disappearing act. Should we think twice about blaming Wall Street? At the very least take responsibility for our own bad mortgages and elected officials. You definitely won’t find me out protesting Wall Street — I would feel too guilty as I have an “easy mortgage” that I am underwater on. I like having my country as the financial power in the world and all the money and jobs that go along with it. Not to mention that it’s better than it being in China or Germany.